What are my options if I’m not the driver? Private Red Light Tickets Firms Join-Up with Orange County Cities to Fleece Citizens! Automatically issuing Red Light Tickets by computerized systems are touted by greedy, over-spending city bureaucrats as a means to promote public safety, reduce the number of T-bone traffic accidents and to allow police officers to focus on more serious law enforcement tasks. Most informed citizens, judges, lawyers, and news organizations know the truth however, and that is that red light tickets are not really there for safety, they are primarily a clever way to make money. Local city governments are using handsome flows of revenue from red light tickets as a full-on conspiracy against their own citizens as a form of backdoor taxation. According to U.S. PRIG ( a consumer group that stands up to powerful interests whenever they threaten citizens health and safety ), their 2011 report concludes that Red Light Tickets generate a huge stream of newly-found revenue. Moreover, the report suggests that these computerized systems are “turn-key” money generation systems that require little effort from a city government, other than to initially agree to the contractual terms. Once signed, the cities then share “a cut” of the newly-created revenue with the private companies who essentially do all the work and also realize sizable profits. The simple truth is, cities and counties sell out their own citizens for some of the newly-minted booty —a cut of the huge profits they are promised for signing long-term contracts with private companies offering turn-key packages! So Then, Are Red Light Tickets a SCAM ? You bet they are. There are many reports and investigations across the country that prove that accidents at the intersections where red light ticket camera systems are installed actually go up. Other reports prove that real increases in public safety can be realized and traffic collisions reduced by simply adding ONE SECOND MORE to the yellow phase, and/or a ONE SECOND delay from red to green (i.e. both directions are red for a full second to clear the intersection of any drivers who may have misjudged the traffic signal). You can read one such story in USA Today where their investigation shows that many private red light camera company contracts that are signed with local city governments require that the length of the yellow light not be increased at any time for any reason. PROOF that these systems are not about Public Safety — red light tickets are a scam against citizens to make money! 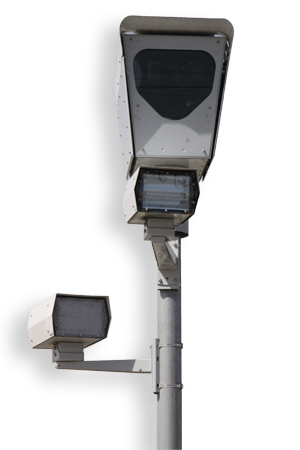 A single red light ticket camera system at one intersection in Oakland, CA generates more than $3 million dollars per year! One can extrapolate and do the math here in Orange County where some cities have a dozen major intersections set up to fleece its own citizens and those citizens of adjoining jurisdictions. Let’s get real here. If the cities were really concerned with public safety, they’d simply adjust the troublesome intersections’ traffic controllers so that the yellow lights would be longer by 1/2 second to 1 full second. Red Light Camera Tickets are all about ripping off citizens for a backdoor taxation. Fight Back! Fight that Red Light Ticket —you can Win! If you feel you have been charged with an unfair traffic infraction, or cannot afford the point on your record, contact the Law Office of Scott R. Ball today using this form right here. Why do Cities Install Red Light Camera Systems? Public Safety? – It’s about the Money!